They had been sitting for far too long. Surely that police cruiser was going to be on them at any moment. Vic had thought they’d at least have enough charge in the engines to get them out of the solar system. Sitting in the Kuiper belt they were sitting ducks. At least outside of the system they were in galactic territory and away from the local authorities. They weren’t moving nearly fast enough to get out before they were caught. Vic had been trying to convince Tootsie, the ship’s computer, to let him in to change the ship’s codes. Leave it to me to get the only computer in the galaxy with a moral code. Mike was the ship’s engineer and prone to fits of sudden randomness. There was a long pause from Tootsie. Now he was making some headway. “Vic!” Tootsie’s electronic voice sounded as if she was actually embarrassed. Vic landed in his seat and it instantly reformed to his body shape. The view screen still showed the same blank area of space. At least they weren’t spinning anymore. That had gotten old fast. “SS ACID RAT!” the voice over the speakers was loud. Far too loud. It had to be the police. No! It couldn’t be the police. They were so close to getting away. What they’d taken wasn’t even worth that much anyway. At least not on the Bamda planet it wasn’t. Why were these local officers going out of their way to catch him? Permission from GCP Central Office? That was the Galactic patrol. They never gave any local system permission to leave their own solar system. It had to be a bluff. And they didn’t. The police cruiser grew larger in the rear monitor. The ship looked nice with all its blue and gold. Too bad they were being pursued by it and Vic spent little time admiring. The port for the tractor beam opened on the police cruiser. This was going to be too close. Vic wanted to shout, but his jaw was locked tight. Argmon had two hands on the wheel and his other two hands ready to hit the buttons at Mike’s word that the engines were fully charged. Vic leaned back into his seat. It couldn’t have been two seconds before Argmon hit the button when a vaguely familiar sound of rustling leaves followed by charged air wafted to his nose. 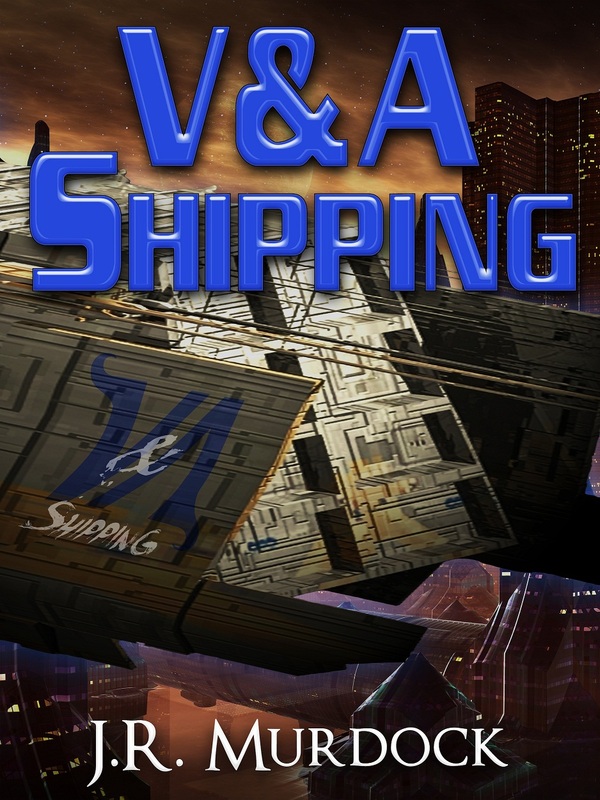 Posted on January 27, 2013, in V&A Shipping and tagged chapter, read along, v&A shipping. Bookmark the permalink. Leave a comment.